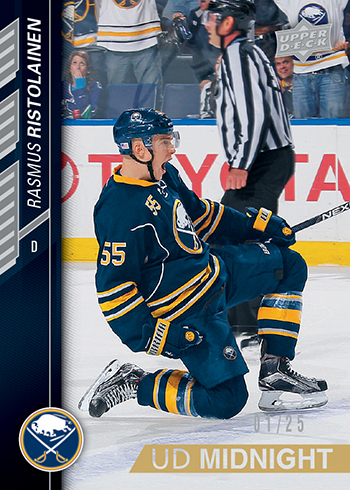 It has been one of the greatest seasons for NHL® rookies in modern memory. 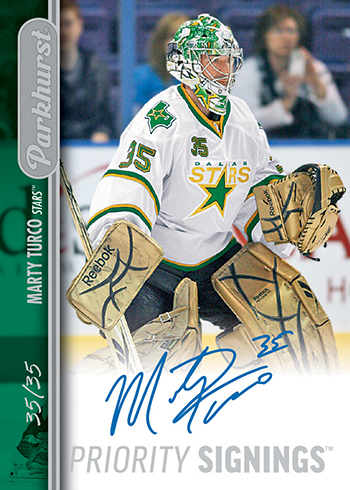 Those who are collecting hockey rookie cards and memorabilia this season have plenty of options to keep them busy, and one place to find the greatest selection of those cards is at the 2016 Sport Card & Memorabilia Expo on April 8, 9 and 10. Make your travel plans now and prepare to get your boxes or cases of Upper Deck hockey products from this season to take part in some very exciting programs. You will want to make sure you purchase from Upper Deck Certified Diamond Dealers (they will have large yellow balloons flying overhead). Only these dealers will be able to provide you with special vouchers to participate in our programs. Open one hobby box of the following boxes at the Upper Deck booth after presenting staff with your voucher to receive a FREE Spring Expo UD Promotional Pack. 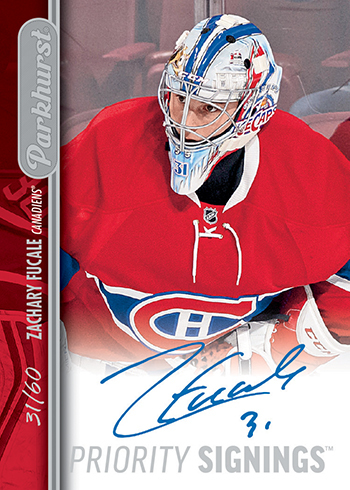 Each three-card UD Spring Expo Promotional Pack will contain at the very least three 2015-16 NHL® Upper Deck Series Two Midnight parallel cards numbered to just 25 copies (cards 251-450). Packs may also contain two Midnight parallel cards and a Parkhurst Priority Signings Autograph card! 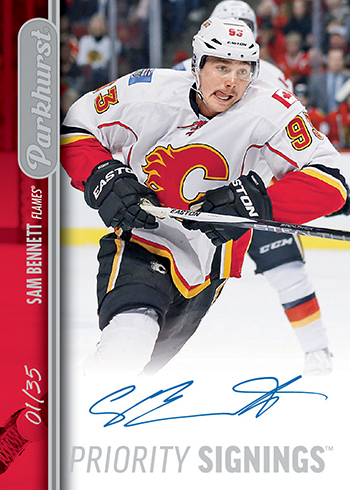 There will be 25 Connor McDavid Parkhurst Priority Signings Autograph Cards inserted into UD Spring Expo promo packs! Some rare packs will contain two Midnight parallels cards and an instant redemption card good for a rare Upper Deck Authenticated memorabilia item! There will be a bevy of instant redemption items available for box breakers and case breakers at the Spring Expo! Boxes, autograph cards, autograph pennants, autograph draft hats, autograph mini-helmets, signed promo cards and even a signed draft ticket will all be available for fans to take home for cracking Upper Deck boxes and cases! Bonus items will consist of super rare Parkhurst Priority Signings Exclusive Autograph or Dual Autograph card. 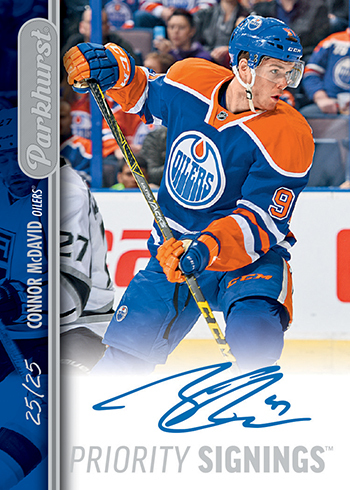 Connor McDavid’s Parkhurst Priority Signings Exclusive card will feature him as a member of Team Canada and will be limited to just five copies! Bonus items can also consist of limited-edition Upper Deck Authenticated memorabilia! 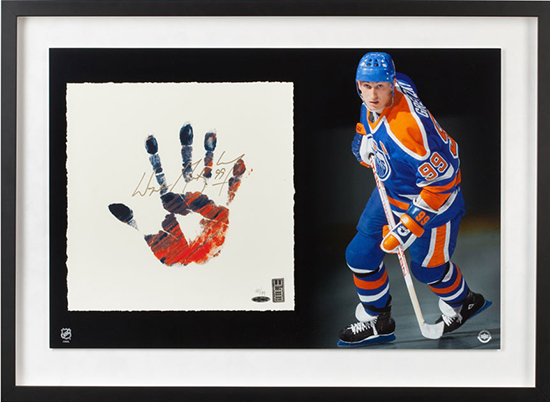 There will be a variety of premium memorabilia items up for grabs to case breakers at the Spring Expo! 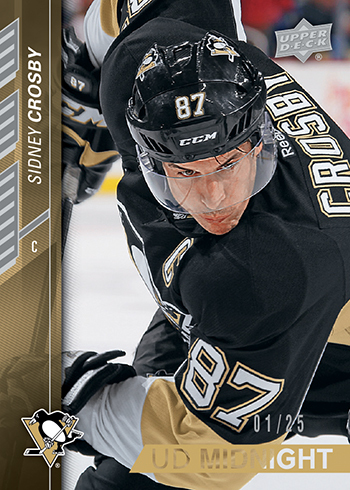 UD FULL FORCE FACE OFF – Friday from 8:00-9:00 p.m., Saturday from 3:00-4:00 p.m., Sunday from 1:00-2:00 p.m.
Purchase a box of 2015-16 NHL® Full Force from a Certified Diamond Dealer and bring the box and voucher to the Upper Deck booth. We will be hosting head-to-head box wars where everyone participating will win a prize. 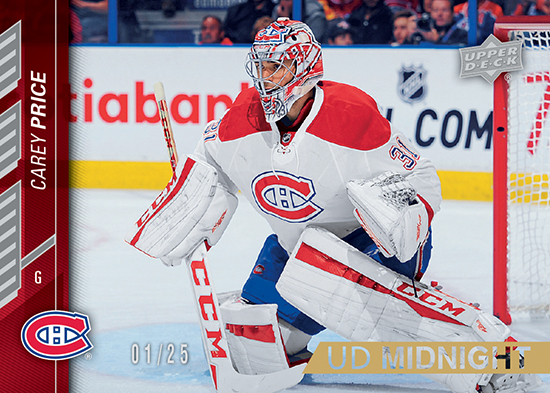 The winner of the round will receive a very limited uncut sheet of Upper Deck NHL® cards from this season and the 2nd place finisher will receive a special insert card! Uncut sheets are pretty rare to say the least so these should be in high demand providing a real thrill to those who win the Full Force Face Off! 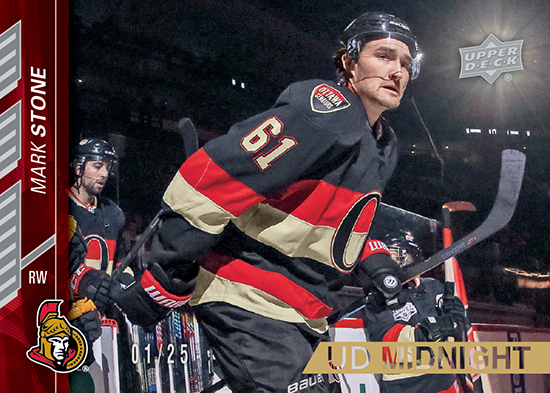 Random Acts of Kindness Scavenger Hunt – One of the biggest fan favourite events takes place on Friday at the Expo where Upper Deck will hide 25 envelopes marked with the Upper Deck Random Acts of Kindness label. Find them, open them and bring them to the Upper Deck booth to claim prizes like insert cards, sealed product and signed memorabilia! To give everyone a fair shot however, you can only win once. 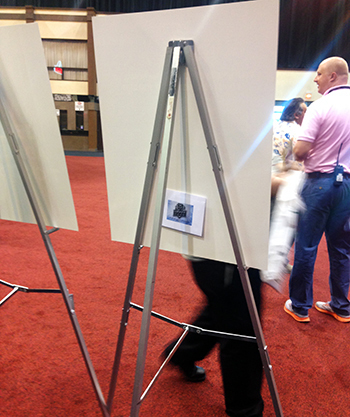 Staff will provide hints throughout the day at the Upper Deck booth on a large whiteboard. Be on the lookout on Friday of the Expo as you could score big if you find one of these specially marked envelopes! 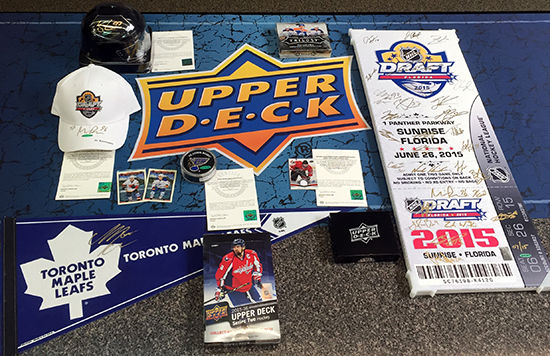 FREE Raffles – Fans love to score some freebies from Upper Deck and we will have plenty of items available at free raffles on Saturday at 2:45 p.m. and Sunday at 12:45 p.m. Make sure to stop by the Upper Deck booth at least 30 minutes prior to receive a free raffle ticket. 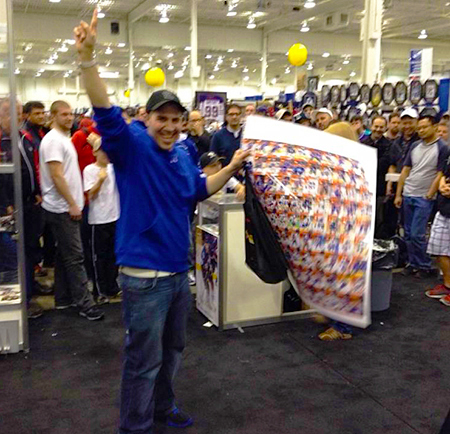 Upper Deck’s raffles are always a huge draw at the Sport Card and Memorabilia Expo where fans can score great prizes for free! Special Saturday Night Invitation-Only Event – Stay tuned for details on a special Saturday Night event for dealers and VIP guests courtesy of Grosnor Distribution. 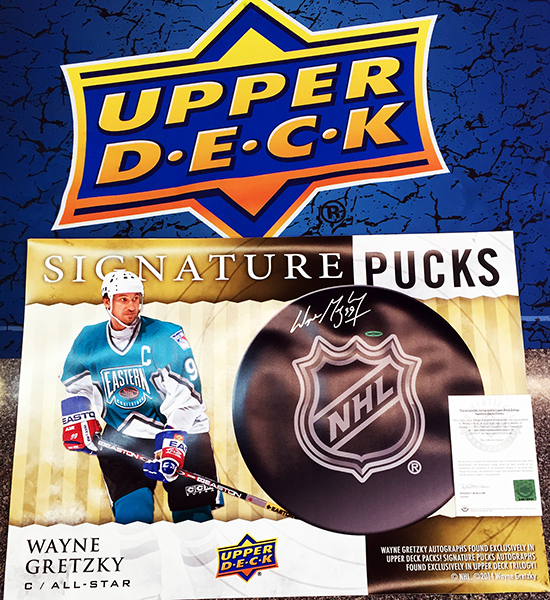 Upper Deck Authenticated Memorabilia – Fans who love Upper Deck’s incredible memorabilia items will definitely want to check out some of the stunning items on display at the Upper Deck booth from legends of the ice like Wayne Gretzky, Teemu Selanne and more! UD Educates – Upper Deck will be distributing FREE UD Educates kits for elementary education teachers at the Spring Expo on a first come, first serve. These kits include three lesson plans and a selection of product to run the lessons with the kids. The lessons are geared to kids in grades 4-6. Educators interested simply need to stop by the Upper Deck booth to request one with their valid school identification card. 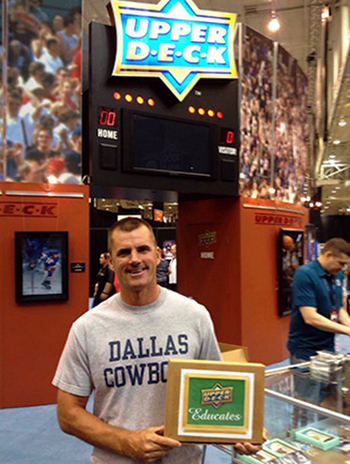 Social Media – For those active on social media make sure to follow Upper Deck on Facebook, LinkedIn, Twitter, Instagram and Snapchat (@UpperDeckSports) to post from the show and include hashtags #SportCardExpo & #CollectConnor. Also, make sure you are following the Sport Card Expo on Twitter, Instagram and Facebook!